Just as I was wondering about what to blog about next, Eileen Shuh tagged me in "7 Things..."
The first thing I did was go to her blog eileenschuh.blogspot.com to find out what the heck she was talking about. It gave me the information I needed and a desire to visit "West Ed's" theme rooms. I was also a bit jealous that I didn't get "themes" as a theme. I could have waxed poetic about death, grief, folklore, moral philosophy, point of view, commitment issues and coffee. 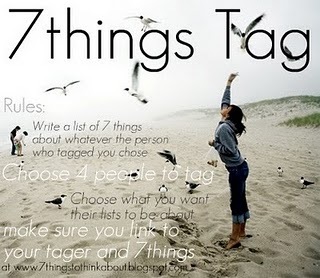 Instead, I have to have to come up with "7 great things about writing". As I write this I wonder if Eileen's real challenge is to get myself to stop at seven. 1. You can write anywhere... and I have. My favourite place to write is a coffee shop, on my laptop, with a Cafe Americano or iced espresso as creative lubrication. The laptop is wonderful, but I've started stories on cocktail napkins in bars with borrowed pens. When the muse strikes, you can write anywhere. 2. You can write about anything... and I have. My professional writing career started in 1991 when my cousin Hilary asked "What do you write?" Up until then I had primarily written stories only friends and family ever read and two novel -- one of which I write when I was supposed to be writing notes in Nutrition and I lost in a third floor washroom at Ryerson. I had also written marketing copy and designed ads for the store I managed. What I answered was, "What do you want written?" 3 Writing expands your horizons. For the sake of writing assignments I have researched a myriad of topics from becoming a change agent in your organization to getting rid of squirrels in your attic. No surprise then that I do a lot of research for my own stories. Whether I am creating a fantastic new world or making sure I know the difference between Scene of Crime Officers and Forensic Identification Services, I do a lot of back ground work. Sometimes my stories are inspired by research done for a commercial client. For instance, the setting of my Carmedy and Garrett series grew out of an interview with our then new (and now moved on) Chief of Police about the future of community policing. 4 Everything you do is grist for the writing mill. When I was in a car accident, and they thought I might have broken my neck, I consoled myself with the knowledge that some day I'd be able to recount with accuracy what it felt like to be strapped to a backboard and how black the sky is when that's all you can see as you're wheeled away. When I was in my teens, writing was a way of releasing the anger, frustration, sexual tension and general angst that is a teenager's lot in life. None of that stops as we get older, we just get better at handling it and, more often than not, the stakes get higher. If I can't talk about it - either because it is too painful, embarrassing or just not appropriate (that adult filter) - I can still write about it. I can let one of my characters express what I have trouble with, or, as with "Joey and the Turtle" (Canadian Voices Volume 1) I can let flow on paper what I find hard to talk about without crying. When I sister was fighting a losing battle against cancer, I created another world that we could escape into. 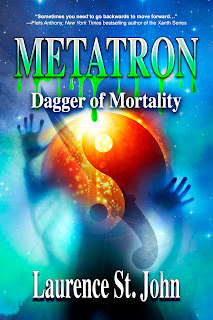 Joey edited my novel as it was written and we'd hash out the details of plot, character and grammar in a world of vampires, demons, ghosts and the fledgling superheroes who dealt with them. It wasn't the first time I used my writing as an escape from reality, but it was perhaps the most profound. It's also damned hard work sometimes but if I didn't love it, I'd do something more practical with my life like manage a store, or work in an office or be the chief assistant to the assistant chief ... wait I've done all those things and still kept writing. It's what I do. I so love this blog, Alison. I assigneed you "7 great things about writing" because I was feeling a bit down about the whole thing. You've done a great job of re-inspiring me. Thanks for playing along. You tell wonderful stories. p.s. 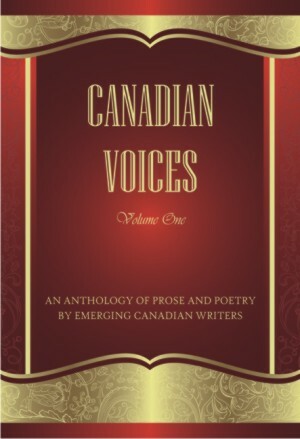 I bought Canadian Voices and read your story about your sister. That, too, was inspired writing. I will have to add Canadian Voices to my "must read" list. Thanks Alison for following Eileen's lead and answering this. So many people can't be bothered but I found it quite therapeutic and now have something to go back to when I need a reminder of why I write (the bank account needs it, my mind never does nor does my hand). Those 7 things are indeed true and every writer - whether published or aspiring - should remind him or herslf of them! One thing I never mentioned was that writing runs in the family. My mother was more of a story teller than writer, but her short "Madame Your Tranquilizer is Showing" inspired me. My daughter (age 13) is a clever writer too -- as you will see if you come back for her guest blog. Unfortunately, most of her writing is unsuitable for the sensibilities of most parents. My mother and my daughter are both writers, as well. In fact, Silent Unity once had a monthly children's magazine "Wee Wisdom". My mother (as an adult writer), and myself and my daughter as children were all published in it. My mother and I had short stories published and my daughter had 2 poems published. Several years ago, Unity posted a photo of the three of us in their newsletter to celebrate three generations of Wee Wisdom authors! One of the people I tagged has got his response to 7 things up on Live Journal. His is a bit different since his creative medium is comics. I love this blog Alison.I read it most of the time am on the net.My brother is a writer too.He writes mainly poems and all i do is read them.But one day his hard drive carshed.Alas!it was a bummer.But we were so lucky that he was able to get all his poems back because he had made analternative backups online with safecopy backup using my mother's account.I bet i will have to tell him to read your blog.Everything is just so inspiring.